Looking for a cheap ticket to Jakarta? Here you can search all major low-cost airlines for cheap flights to Jakarta. 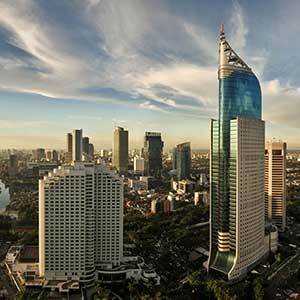 The metropolitan area of Jakarta is being served by several airports: Soekarno–Hatta International Airport, Halim Perdanakusuma International Airport. You can find more information or the cheapest tickets to all these airports here on Utiket. Read more about Jakarta Soekarno–Hatta International Airport. Read more about Jakarta Halim Perdanakusuma International Airport.